Good day readers. Today marks day one, stop one, on my virtual book tour and I’m excited to post Debra Mauldin’s review of my crossover science fiction novel Time’s Tempest to start the tour off on the right foot. While Debra’s review format is different from my own and the one I prefer using on Infinite Pathways I wasn’t about to look a gift-horse in the mouth! If you’re interested in learning more about me and my book this week, please follow along on the blog tour by either checking out the schedule at my sponsor’s facebook page, Dragon Knight Chronicles, or by following my personal author website as I re-post the various interviews, reviews, guest posts, and spotlights. 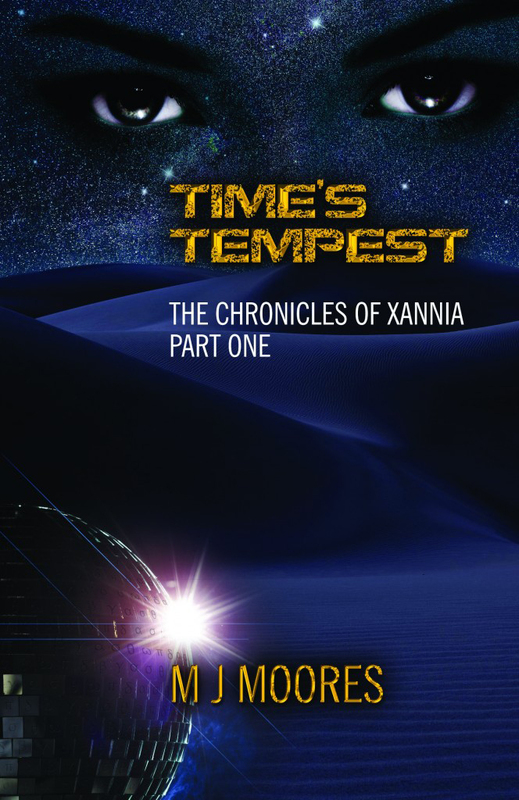 ‘Time’s Tempest (The Chronicles of Xannia, #1)’ by M. J. Moores is a well written, action packed science fiction story. The book held me captive from beginning to end. The author writes descriptive action and adventure throughout the story. M. J. Moores does a great job building and describing the world of Xannia. Moores writes her characters in depth, drawing the reader into each one. Taya, the main character, tells the story from her point of view. The author takes the reader into Taya’s head where the reader hears Taya’s thoughts and feels her doubts, fears, and uncertainties as she faces her obstacles head-on.